Hello November! :) Fashion Studio Magazine selected a couple of items that will be a great addition to your fall wardrobe. 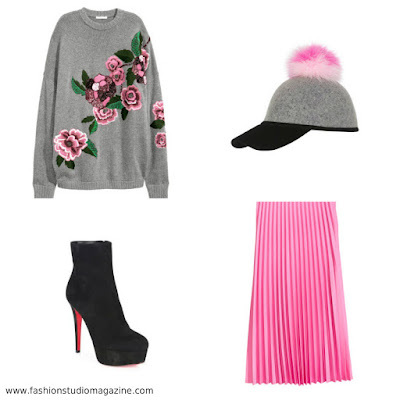 Pink pleated skirt and grey embroidered sweater are both bold and eye-catching - you can wear them together or tone them down with something more simple (think: plain black sweater or a classic pair of jeans). Have fun! 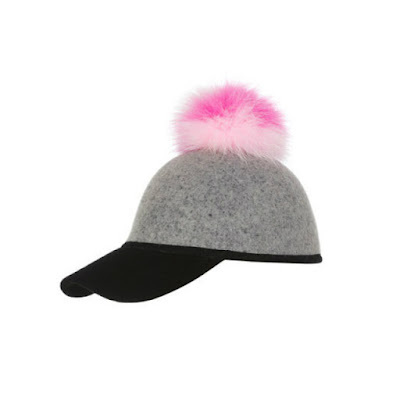 Charlotte Simone "Sass" baseball cap in wool felt. Tricolor dyed fox fur (China) pom-pom at top. Contrast brim. 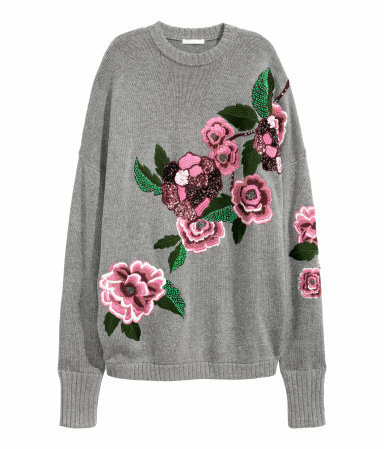 Soft, oversized knit sweater with wool content. Beaded and sequined embroidery, dropped shoulders, and long sleeves with wide, ribbed cuffs. 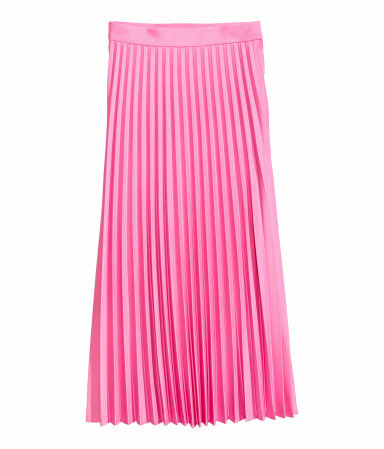 Pleated skirt in woven stretch fabric. Extended waistband tab with concealed fastener, and concealed side zip with hook-and-eye fastener. Unlined. Retro-chic suede bootie grounded by island platform. Round toe. Side zip. Leather lining. Signature red leather sole. Made in Italy.